One of Norway’s most sensational court cases ever got underway in Oslo on Monday. Eirik Jensen, former chief of special operations for the Oslo Police District, will be defending himself against corruption and serious drug charges levied by an admitted hash dealer and co-defendant. More than 150 people, including other top police officials, have been called to testify in the case, which is scheduled to run for at least another five months. The marathon trial has grabbed headlines and broadcast time in Norway for the past three years, since Jensen was arrested in the garage of Oslo’s main police station and charged both with corruption and participation in the import of large quantities of hash. The case shocked authorities and not least the media, since Jensen, age 59, had long been viewed as one of the most high-profile “top cops” in the country. He was both admired, respected and controversial, though, because of his close ties to criminal informants. Some felt he had unorthodox means of nailing criminals, from gang leaders to drug lords and violent motorcycle clubs. “We were taken aback by Jensen on several occasions,” one police officer in Bærum, west of Oslo, told newspaper Aftenposten over the weekend. That often had a lot to do with Jensen’s relationship to Gjermund Cappelen, a convicted drug dealer found guilty in 2015 of storing and selling 1.4 tons of hash. Cappelen, age 50, is a co-defendant in the case brought by state prosecutors against both Jensen and Cappelen. It was Cappelen, arrested two months before Jensen, who prompted Jensen’s own arrest after he told police under questioning that Jensen had contributed to the import of hash into Norway for several years in return for payment. Jensen was later arrested and suspended from his job. He has consistently denied all the charges against him. After a lengthy investigation that also centered on Jensen’s personal finances and lifestyle, both Jensen and Cappelen were indicted and now will face off in what many commentators call a battle over their individual credibility. Norwegian Broadcasting (NRK) reported the tone between them was “ice cold” when their trial began Monday morning, and they even refused to greet one another in court as is customary in Norway. Both have high-powered defense teams in the case that not only pits state prosecutors against them but Jensen and Cappelen against each other. They’re now charged with importing large quantities of hash into Norway, with Jensen specifically charged with enabling the import of 13.9 tons. Their relationship over the years will be examined in detail. 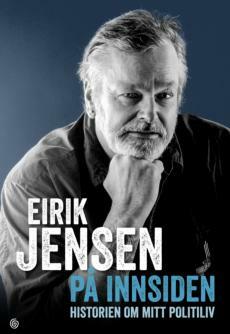 Several have characterized them as long-time friends, others that Cappelen was merely a good source in Jensen’s investigations of Oslo’s underworld. Jensen has consistently claimed that he has no idea why Cappelen would implicate him and make such charges to the prosecution. Aftenposten commentator Inge D Hanssen, who has covered the courts in Norway for many years, pointed out on Monday that such cooperation would result in a more lenient prison sentence for Cappelen. Prosecutors tried to conduct the trial behind closed doors when Jensen and Cappelen are testifying, to keep police methods confidential, but an Oslo city court judge ruled against them in December and the prosecutors also lost on appeal. That’s led to the media descending en masse on the trial, anxious to snap up lots of potentially unknown information. If convicted, both face lengthy jail terms, up to 21 years for Cappelen.